Practice makes perfect, so take your practice and training sessions to the next level with the Black/Volt Squad Flash Short Sleeve Training Top 2 by Nike. With the technological advancements that have been made in soccer gear, there’s no reason you should be training in a crummy old T-Shirt. You need a shirt that’s comfortable, keeps you cool and ventilated and is highly functional, because when you practice well you end up playing well too. That’s why you need to shop soccerloco for a great low price on the new Black/Volt Squad Flash Short Sleeve Training Top 2 by Nike. This training jersey is ideal for helping you get the most out of your training sessions and practices, because as the old adage goes, you play how you practice, so you need to practice the right way. This 100-percent polyester training shirt is built from Nike's patented Dri-FIT fabric technology that wicks moisture and sweat away from your skin and draws it to the outside of your shirt where it can evaporate away quickly, keeping you cool, dry and comfortable. It’s constructed with strategically placed mesh panels that add ventilation and breathability where you need it most. The top also features a crew neck with interior taping to protect the neck from chafing caused by seams. Side insets and raglan sleeves offer a wide range of motion, while the dropped back hem (longer in the back than in the front) is designed for extra coverage as you move and bend. This shirt is simple yet attractive in its design, featuring a black body with Volt Yellow stripes running down each shoulder and a Volt Yellow Nike Swoosh logo on the right chest. 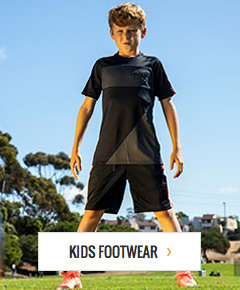 Practice makes perfect, so take your practice and training to the next level of performance with the Nike Squad Flash Short Sleeve Training Top 2 from soccerloco, the web’s leading retailer of high-performance soccer shoes, apparel, equipment, training gear and more.